Just have a look at this Black Forest Decor exclusive! 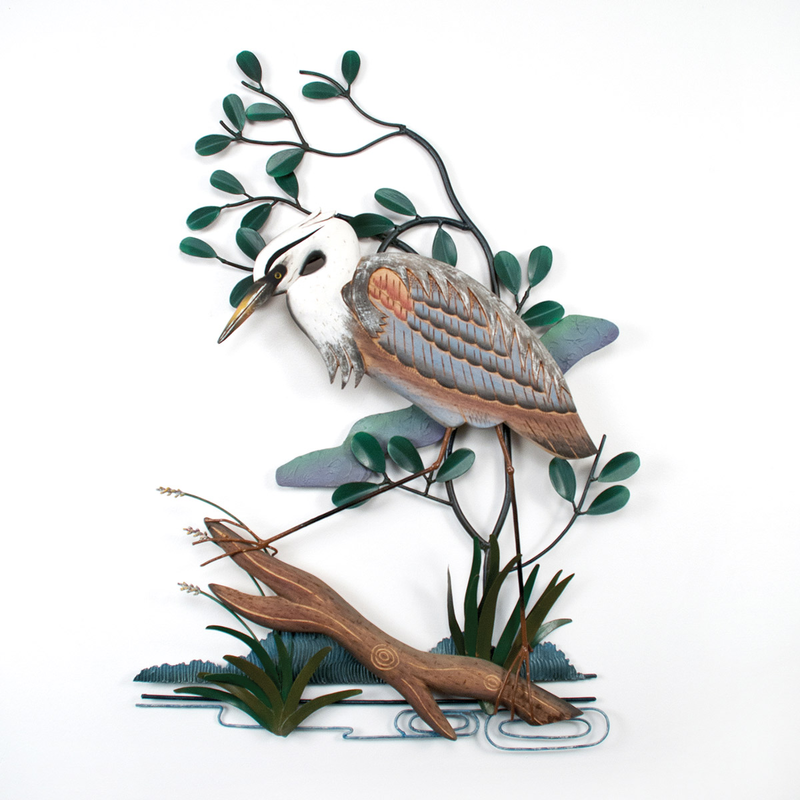 Hand-carved wood heron on metal with multi-dimensional effect. Size may vary slightly because of handcrafting. Allow 2 weeks. This beach wall art measures 21"W x 3"D x 30 1/2"H.